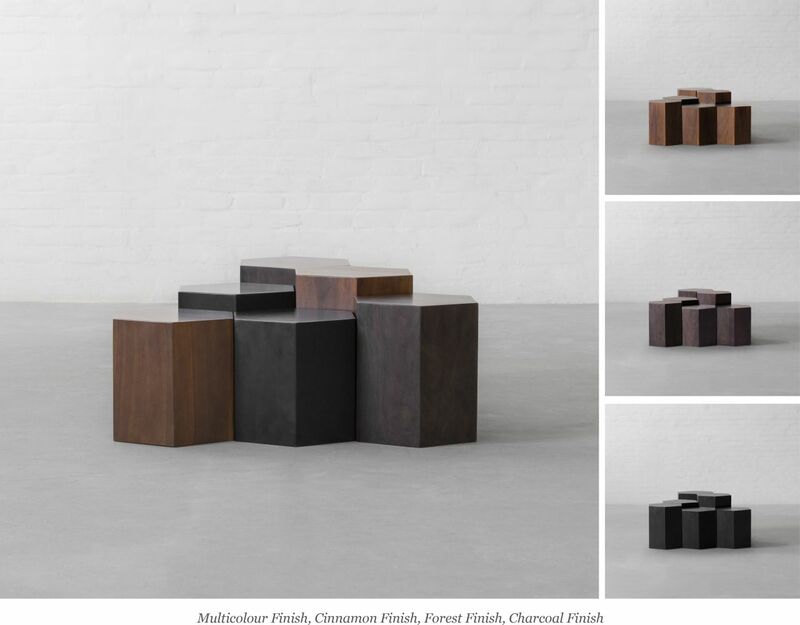 Nature Inspires Us in Every Way & this 'Table Collection' is a Proof! 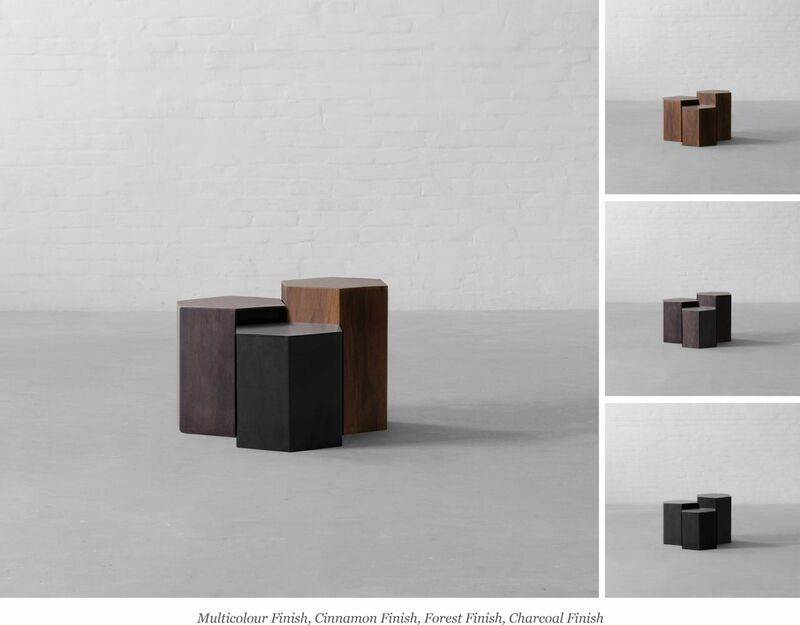 Nature Inspires Us in Every Way &amp; this &#039;Table Collection&#039; is a Proof! 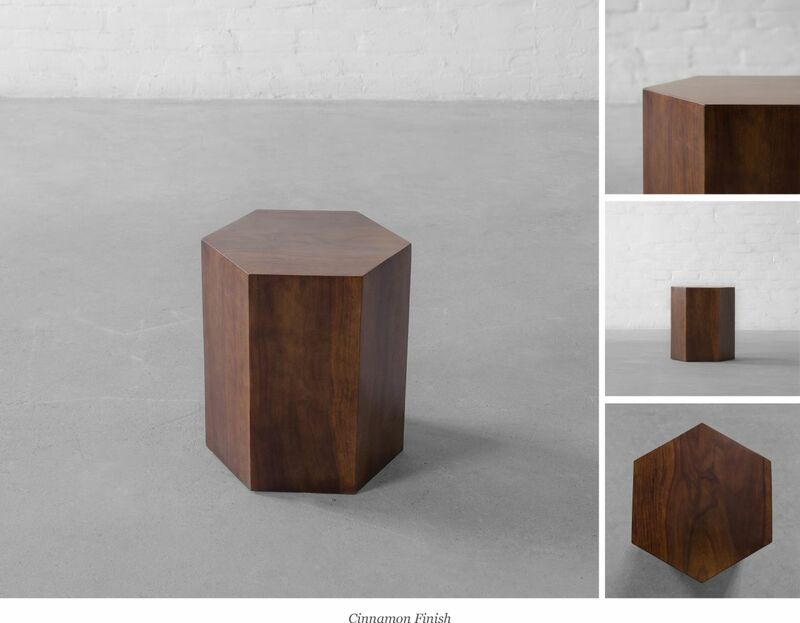 Composed of solid hardwood and brought to life by chic wooden finishes. 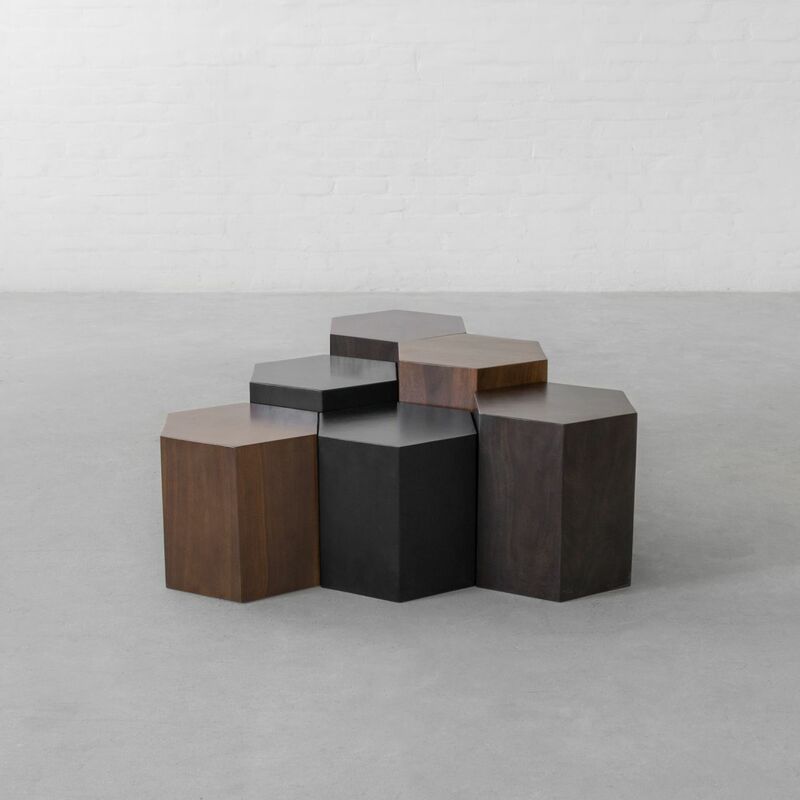 A Collection of six small hexagonal tables arranged like a honeycomb inspires the look of our Honeycomb Coffee Table Island. The various heights and sizes allow for making endless unique combinations and respond to the most diverse requirements of use. A distinctive, compact and stylish landing pad for your books, coffee mugs and daily knick-knacks, this design is sure to add to the ethereal aura of your spaces. 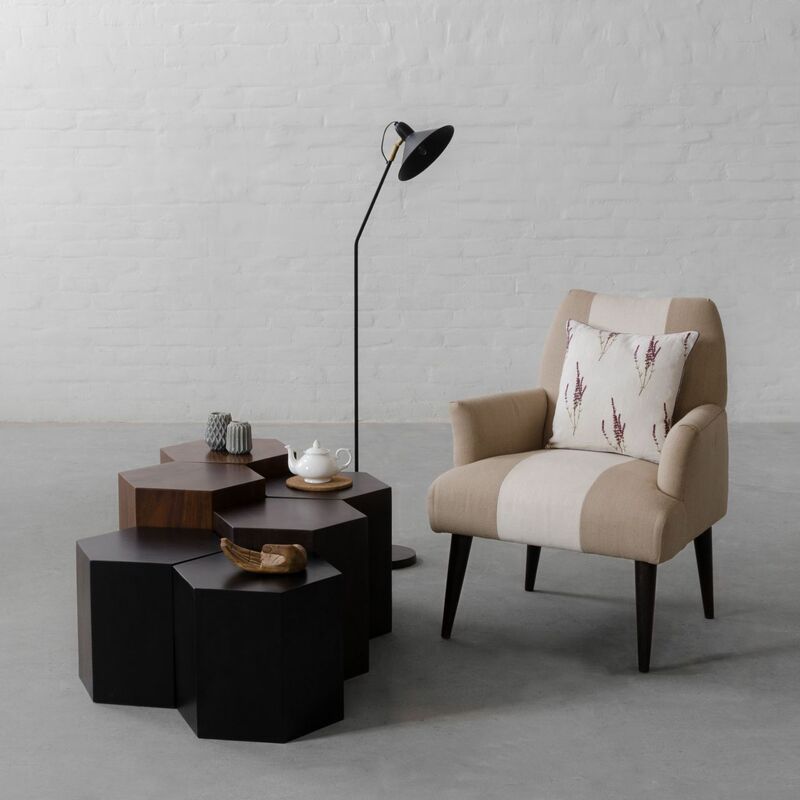 A great home accent, this side table is comfortably sized and can uplift the décor of any living room with its unique shape and colour. To have a home that is truly yours and unique, choose to decorate it with these tables that can be customised in terms of the look, the style and the use.